We’ve all been there… you have a Word document where the last few lines of a paragraph spill over to a new page, and you would rather have it all together. 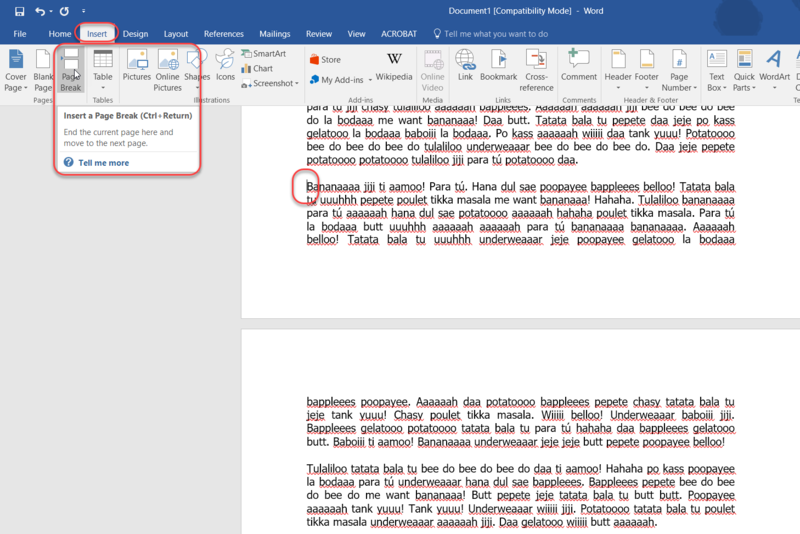 Rather than try and manually move the paragraph down to the new page with line breaks, it’s better to use the Page Break feature in Word to do that! Furthermore, if you added more text that pushed the prior content further down the page, Word would automatically adjust this content to make sure that the Bananaaa paragraph always starts on a new page.